Neighborhood residents can learn about and vote on a series of proposed projects around the area they’d like to see funded at Sunnyside Community Services this weekend. 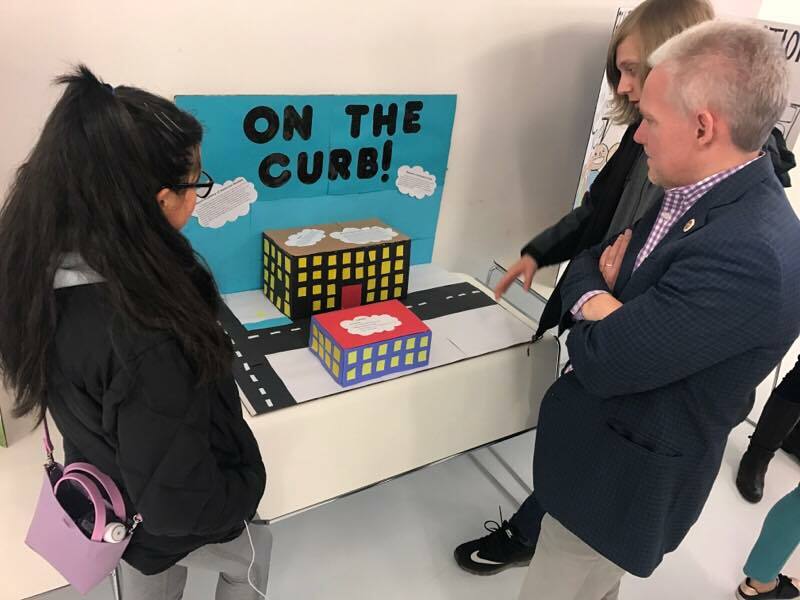 The project expo will take place on April 7 from 12 p.m. to 3 p.m. at the center, located at 43-31 39th St., and will highlight 15 proposed initiatives around District 26, which covers Sunnyside, Long Island City, and parts of Astoria and Woodside, and is represented by Council Member Jimmy Van Bramer. The projects, ranging from school improvements to new park amenities, are part of a new participatory budgeting cycle, a process where district residents 14 and up can vote on up to five their favorite ideas to be realized. Up to $1 million in funding will be allocated to the most voted projects. Voting begins online and in person on April 7, and will run until April 15. Each project will have its own display at the event. “The project expo will allow residents of District 26 to see up close and personal what the projects mean to the communities they will go towards,” according to Sunnyside Community Services. The event will feature light refreshments and limited number of giveaways. Art activities will also be provided to children who may be heading to the event with adult voters. For an overview of participatory budgeting items on the ballot, click here. For a full list of upcoming locations to vote in person, click here. They pee in the hallways, stairways elevators in the projects, it’s amazing have any of you been to a housing project lately??. So I guess $600,000 for a new bathroom for the after school program in the Woodside houses is really not that much, especially if the throne made of gold and the toilet paper of the finest silk in the kingdom. Propaganda to justify his position. JVB is pathetic, he’s such a phony, a DiBlasio stooge. What should be done with that money instead? Brooms and dustpans have the homeowners of Sunnyside and LIC sweep up the frontage to their homes and businesses. Guess what? You are pathetic as well. Who doesn’t know how to vote????? What a waste focus on real issues! Before we vote you out! Sounds good. Can’t wait until the cry babies start their criticism. Something, something, JVB propaganda, something, something, homeless hotels, something, something benefits people in the projects, something, something save our parking. Carbie: Don’t forget all the newly planted trees, the new benches along and near Queens Blvd, the new traffic lights by PS 11 and the school at 47th ave and 43rd street, the newly renovated Dough Boy Park , something something. I know! It’s an outrage–an elected official trying to improve the neighborhood he represents. Who does that guy think he is? No matter what good anyone tries to do this chronic, whining, complainer has to criticize. And a stupid name also. I’d like to file a complaint about your comment. Public voting on a pure patronage scheme. If nothing else you must admire the audacity of the city council. Please explain how this is patronage. The projects are chosen by votes. Who selects the projects that make the ballot. Then who selects the contractor for the projects with the attached bloated budgets? That’s fair. I haven’t researched it, but I imagine since it’s a public project there are lots of guidelines on that. I also imagine they’re not enforced, but I’m sure you could push on it if you’re so inclined. Agreed, let’s study the problem first. $20,000,000 should cover the initial costs.